Hinkley Point C nuclear power station (HPC) is a project to construct a 3,200 MWe nuclear power station with two EPR reactors in Somerset, England. The proposed site is one of eight announced by the British government in 2010, and in November 2012 a nuclear site licence was granted. On 28 July 2016 the EDF board approved the project, and on 15 September 2016 the UK government approved the project with some safeguards for the investment. The plant, which has a projected lifetime of sixty years, has an estimated construction cost of between £19.6 billion and £20.3 billion. The National Audit Office estimates the additional cost to consumers (above the estimated market price of electricity) under the "strike price" will be £50 billion, which 'will continue to vary as the outlook for wholesale market prices shifts'. Financing of the project is still to be finalised, but the construction costs will be paid for by the mainly state-owned EDF of France and state-owned CGN of China. In January 2008, the UK government gave the go-ahead for a new generation of nuclear power stations to be built. Hinkley Point C, in conjunction with Sizewell C, was expected to contribute 13% of UK electricity by the early 2020s. Areva, the EPR's designer, initially estimated that electricity could be produced at the competitive price of £24 per MWh. EDF, which is 85% owned by the French government, purchased British Energy, now EDF Energy Nuclear Generation Ltd, for £12.4 billion in a deal that was finalised in February 2009. This deal was part of a joint venture with UK utility Centrica, who acquired a 20% stake in EDF Energy Nuclear Generation Ltd as well as the option to participate in EDF Energy's UK new nuclear build programme. In September 2008, EDF, the new owners of Hinkley Point B, announced plans to build a third, twin-unit European Pressurised Reactor (as the EPR was then called) reactor at Hinkley Point, to join Hinkley Point A (Magnox), which is now closed and being decommissioned, and the Hinkley Point B (AGR), which has a closure date for accounting purposes of 2023 but is likely to be closed much later. 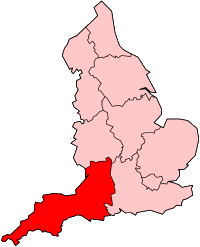 On 18 October 2010, the British government announced that Hinkley Point – already the site of the disused Hinkley Point A and the still operational Hinkley Point B power stations – was one of the eight sites it considered suitable for future nuclear power stations. NNB Generation Company, a subsidiary of EDF, submitted an application for development consent to the Infrastructure Planning Commission on 31 October 2011. In October 2013, the government announced that it had approved subsidized feed-in prices for the electricity production of Hinkley Point C, with the plant expected to be completed in 2023 and remain operational for 60 years. In 2011, Elizabeth Gass sold some 230 acres of her Fairfield estate at Hinkley Point for about £50 million. There are conflicting reports about whether the land was for the development of nuclear power or a wind farm. In February 2013, Centrica withdrew from the new nuclear construction programme, citing building costs that were higher than it had anticipated, caused by larger generators at Hinkley Point C, and a longer construction timescale, caused by modifications added after the Fukushima disaster. In March 2013, a group of MPs and academics, concerned that the 'talks lack the necessary democratic accountability, fiscal and regulatory checks and balances', called for the National Audit Office to conduct a detailed review of the negotiations between the Department of Energy and Climate Change and EDF. In December 2013, the European Commission opened an investigation to assess whether the project breaks state aid rules with reports suggesting the UK government's plan may well constitute illegal state aid. Joaquín Almunia, the EU Competition Commissioner, referred to the plans as "a complex measure of an unprecedented nature and scale" and said that the European Commission is "not under any legal time pressure to complete the investigation". In January 2014, an initial critical report was published, indicating that the UK government's plan may well constitute illegal state aid, requiring a formal state aid investigation examining the subsidies. David Howarth, a former Liberal Democrat MP, doubted "whether this is a valid contract at all" under EU and English law. Franz Leidenmuhler (University of Linz, a specialist in EU state aid cases and European competition law), wrote that "a rejection is nearly unavoidable. The Statement of the Commission in its first findings of 18 December 2013, is too clear. I do not think that some conditions could change that clear result." Though that, ten months later the European Commission approved the financing. The UN, under the Convention on Environmental Impact Assessment in a Transboundary Context, ordered the Department for Communities and Local Government to send a delegation to face the committee in December 2014, on the "profound suspicion" that the UK failed to properly consult neighbouring countries. In September 2014, news leaked that "discussions with the UK authorities have led to an agreement. On this basis, vice-president Almunia will propose to the college of commissioners to take a positive decision in this case. In principle a decision should be taken within this mandate" with a final decision expected in October 2014. On 8 October 2014, it was announced that the European Commission had approved the project, with an overwhelming majority with only four commissioners voting against the decision. The European Commission adjusted the "gain-share mechanism" whereby higher profits are shared with UK taxpayers. In June 2015, the Austrian government filed a legal complaint with the European Commission on the subject of the state subsidies, a complaint that was later dismissed. In September 2015, EDF admitted that the project would not be completed by 2023, with a further announcement on the final investment decision expected in October 2015. Earlier plans to announce Areva and 'other investors' were dropped: "in order to have speed, in the first phase EDF and the Chinese will be the investors". A report by the IEA and NEA suggests privatization as one of the causes for British nuclear power being more expensive than nuclear power in other countries. In February 2016, EDF again delayed a final decision on proceeding with the project, disclosing that the financial agreement with CGN was yet to be confirmed. EDF, which had recently reported a 68% fall in net profit, was still looking at how it would finance its share of the project. With EDF's share price having halved over the preceding year, the cost of the Hinkley Point C project now exceeded the entire market capitalisation of EDF. EDF stated that "first concrete", the start of actual construction, was not planned to begin until 2019. In June 2016, EDF executives and managers told MPs that the Hinkley Point C proposal should be postponed, until it had "solved a litany of problems", including EDF's "soaring debts". EDF initially said it would delay a final investment decision until September 2016. On 28 July 2016, the EDF board approved the project when 10 out of 17 directors voted yes. Gérard Magnin, a director of EDF who was opposed to the project resigned before the vote. On the same day, the Secretary of State for Business, Energy and Industrial Strategy Greg Clark announced that the government would delay its decision until the autumn of 2016 to "consider carefully all the component parts of this project", including Britain's national security. On 8 August 2016, Liu Xiaoming, China's ambassador to Britain, wrote that the UK risked major power shortages by 2025, the Hinkley Point C project is ready to go ahead, the 'UK could not have a better partner than the China General Nuclear Power Corporation', and 'the China-UK relationship is at a crucial historical juncture'. In August 2016, it was reported that 'civil servants are looking to see if there is any loophole, clause or issue in contracts yet to be signed that allow the Government to pull back without huge loss and while also saving face', that Beijing 'will resist any compromise on the deal', and that one option under consideration is to approve Hinkley Point C but delay a decision on the Bradwell reactor. In September 2016 the UK government announced approval for the scheme with “significant new safeguards”. In February 2017 The UN, under the Convention on Environmental Impact Assessment in a Transboundary Context, 'said the UK should consider refraining from further works' until it has heard back from other countries on whether it would be helpful for them to be formally notified under a treaty on transboundary environmental impacts. On July 2017, the estimated construction cost had climbed in two years to £19.6 billion and was revised to £20.3 billion accounting for the fifteen months estimated delay cost, with a start date of between 2025 and 2027. July 2008 saw the start of early enabling works with the construction of a car park for a ground investigation programme. In 2012 EDF purchased the site of the Manor of Sydenham near Bridgwater which had previously been used as a factory site by British Cellophane, including the Grade II listed 16th century building. In 2014, 400 staff undertook initial preparation and construction work. This work included access roads and roundabouts for increased construction traffic, park and ride schemes for the site workers, and a new roundabout for the village of Cannington. Further plans include the construction of a sea wall and a jetty for ships to deliver sand, aggregate and cement for concrete production. In 2015 the factory site was razed to the ground. It is intended for construction of temporary accommodation for 1,000 workers. It was reported in October 2016 that EDF believes a condition to ensure the 'commissioning of the main concrete batching plant' has already been met. Provided the milestone is met within 33 months of contracts being signed, the government has 'no other lever to ensure construction is proceeding as planned'. Delays may result from concerns that steel reactor components may have a higher than expected carbon concentration. In September 2016, the BBC reported that if construction were to start now, the plant could become operational by 2025. In March 2017, EDF, after the Office for Nuclear Regulation gave approval to start building a network of tunnels to carry cabling and piping, started work also under way on a jetty, seawall and accommodation blocks. In June 2017, an interim pay deal averted strike action by construction workers. In January 2018, EDF said that they were on track to start generating electricity by 2025 and that they planned to start constructing above-ground structures for the power station by June 2019. The about 2,000 cubic metres (71,000 cu ft) concrete pour for the first reactor started on 11 December 2018. It was completed over a 30 hour period, creating a platform 3.2 metres (10 ft 6 in) thick. The reactor building will be built on that platform. This construction start marks the first new reactor build in the UK after a 30-year break, and the second PWR in the UK, after Sizewell B. In November 2012, it was announced that the UK Office for Nuclear Regulation (ONR) had awarded a nuclear site licence to NNB Generation Company, a subsidiary created by EDF Energy. This was the first nuclear site licence awarded for a nuclear power station in the UK since 1987, when one was granted for the construction of Sizewell B in Suffolk. In March 2013, three environmental permits setting levels for emissions from the proposed power station were granted and planning consent was given, but agreement on electricity pricing was still required before building could start. Through 2013, the operator was in negotiations with the Department of Energy and Climate Change and other government agencies. A major sticking point was a demand by EDF Energy for a guaranteed price for the electricity to be produced, which was about twice the current UK electricity rates. The project is part of the UK's plans to implement a 50% cut in greenhouse gas emissions by the mid-2020s, which provides for building Hinkley Point C and several other nuclear power plants. By 2013, the operator had invested about £1 billion in site preparation and other start-up costs. If built, the plant will meet about 7% of the UK's electricity needs. In 2013, Welsh ministers granted permission for EDF to dispose of construction sediment off Cardiff Bay. EDF have said the work 'is not harmful to humans or the environment' but marine pollution expert Tim Deere Jones claims the mud 'could expose people to radioactivity'. In October 2013, the government announced that it had approved the agreement of a "strike price" for the plant's electricity, a major condition for its construction. In September 2016, the government confirmed the project, but following new agreement in principle with EDF, and imposing significant new safeguards for future foreign investment in critical infrastructure. The UK's Office for Nuclear Regulation (ONR) on 28 March 2017 granted its first consent to begin construction of the Hinkley Point C nuclear power plant. The consent covers the placement of the structural concrete for the first nuclear safety-related structure. EDF has negotiated a guaranteed fixed price – a "strike price"– for electricity from Hinkley Point C of £92.50/MWh (in 2012 prices), which will be adjusted (linked to inflation) during the construction period and over the subsequent 35 years tariff period. The strike price could fall to £89.50/MWh if a new plant at Sizewell is also approved. High consumer prices for energy will hit the poorest consumers hardest according to the Public Accounts Committee. In July 2016, the National Audit Office estimated that due to falling energy costs, the additional cost to consumers of 'future top-up payments under the proposed HPC CfD had increased from £6.1 billion in October 2013, when the strike price was agreed, to £29.7 billion'. In July 2017, this estimate rose to £50 billion, or 'more than eight times the 2013 estimate'. Research carried out by Imperial College Business School argues that no new nuclear power plants would be built in the UK without government intervention. Some pro-nuclear groups have also said that the 'strike price of Hinkley Point C is too high'. In December 2013, Jim Ratcliffe, the chairman and CEO of Ineos said he had recently agreed to purchase nuclear power in France at £37.94 (€45) per MWh and warned of the Hinkley Point C project: 'Forget it. Nobody in manufacturing is going to go near £95 per MWh'. Also in December 2013, the chairman of Voimaosakeyhtiö SF described the Hinkley Point C "strike price" as 'very high', saying 'subsidies will drive prices up, as everyone will try to get as high a price as possible. Fennovoima (Hanhikivi) will be built without any subsidies, now or ever'. A 2014 Agora Energiewende study found that new wind and solar generation is up to 50% cheaper than new nuclear, based on what they described as a conservative comparison of current feed-in tariffs in Germany with the agreed strike price for Hinkley Point C. The study does not actually compare UK strike prices for wind and solar energy sources with the proposed UK strike price for nuclear energy, and it ignores a number of external and integration costs, including all costs of grid upgrades expected for wind, solar, and gas sources, and for wind and solar specifically, both the expected future reductions in cost for these sources and most of the increased integration costs for variable energy resources. savings in electricity due to improved storage and flexibility, according to a NIC report for the government. In August 2016, CEO Henrik Poulsen of DONG Energy argued that the UK's future energy needs can be covered with accelerated construction of cheaper offshore wind farms instead of Hinkley Point C. Poulsen state that wind farms could currently undercut HPC's strike price with £85/MWh, while others in the industry believe that by the mid-2020s the electricity price from offshore wind farms would reach £80/MWh. On 10 August 2016, Ambrose Evans-Pritchard of the Daily Telegraph wrote that, with growth in energy storage, 'there ceases to be much point in building costly "baseload" power plants such as Hinkley Point. Nuclear reactors cannot be switched on and off as need demands - unlike gas plants. They are useless as a back-up for the decentralized grid of the future, when wind, solar, hydro, and other renewables will dominate the power supply'. On 26 August 2016, the Energy and Climate Intelligence Unit released a report on alternatives to Hinkley Point C. It found that a mixture of established approaches including wind farms, cables connecting the UK grid with other countries and gas-fired power stations, together with measures to manage demand, would save the UK around £1 billion per year while keeping the lights on and meeting climate targets. On 12 October 2017, The Guardian reported that researchers informed MPs that the UK government was using the expensive Hinkley Point C project to cross-subsidise the UK military's nuclear-related activity by maintaining nuclear skills. The researchers from the University of Sussex, Prof. Andy Stirling and Dr. Phil Johnstone, stated that the costs of the Trident nuclear submarine programme would be prohibitive without “an effective subsidy from electricity consumers to military nuclear infrastructure”. The European Commission decision on 8 October 2014 adjusted the "gain-share mechanism" whereby higher profits are shared with UK taxpayers. Rather than a 50-50 profit share if the project returned above 15%, the revised "gain share mechanism" will see the UK taxpayer get 60 per cent of any profits above a 13.5% return. The construction cost was given by EDF as £16 billion in 2012, updated to £18 billion in 2015, and to between £19.6 billion and £20.3 billion in July 2017. The European Commission has previously estimated £24.5 billion, including financing costs during construction. Financing for the project will be provided "by the mainly [French] state-owned EDF [and Chinese] state-owned CGN will pay £6bn for one third of it". EDF 'might sell another 15% stake in the project'. In September 2015, George Osborne announced a further £2 billion UK government guarantee for financing of the project. In May 2016, a senior official at China National Nuclear Corporation (CNNC) said 'the final proposal is for the Chinese to take a 33.5% stake in the project. But this will be a combination of CGN and CNNC. We haven’t yet decided what percentage we are going to invest'. In February 2016, Jean Bernard Lévy, EDF Chief Executive, confirmed a 68% drop in net profits and cut in dividend, saying that a final investment decision on the project would follow 'when all this is fully organised'. Also in February 2016, another source said 'the question of the funding is far from being resolved, EDF and the French state would need to sell assets under good conditions and in a short period of time, which seems quite complex at the moment considering EDF’s share price'. In March 2016, Thomas Piquemal, EDF's Chief Financial Officer resigned after 'saying the company should wait another three years before making the final investment decision on the project' where Jean Bernard Lévy disagreed 'saying he wanted it to happen as early as next month'. In March 2016, Jean Bernard Lévy wrote to EDF staff that he was in talks to 'obtain commitments from the state to help secure our financial position' and would 'not engage in the [Hinkley Point] project before these conditions are met'. In March 2016, Emmanuel Macron, the French Minister of Economy, Industry and Digital Affairs said that a final investment decision would not be made until May 2016. On 25 April 2016, EDF announced plans to sell €4 billion of new shares to 'help it finance the building of the Hinkley Point nuclear plant' with the French government subscribing €3 billion of these shares 'as well as taking a scrip dividend option for 2016 and 2017'. In December 2016 The Economist reported that the British loan guarantees require the EPR reactor Flamanville 3 to be operational by 2020, that the regulator will rule on the future of the Flamanville reactor mid-2017 and that one possible outcome of this ruling can delay its opening far beyond 2018, thus jeopardizing the British loan guarantees thereby preventing EDF from building the EPRs at Hinkley Point. In December 2007, the Union of Concerned Scientists referred to the EPR as the only new reactor design under consideration that "...appears to have the potential to be significantly safer and more secure against attack than today's reactors". EDF and Areva have been facing 'lengthy delays and steep cost overruns' on EPRs being built at Flamanville Nuclear Power Plant in France and at Olkiluoto Nuclear Power Plant in Finland. In October 2013, George Monbiot, a supporter of nuclear power, said that "the clunky third-generation power station chosen for Hinkley C already looks outdated, beside the promise of integral fast reactors and liquid fluoride thorium reactors. While other power stations are consuming nuclear waste (spent fuel), Hinkley will be producing it." In February 2015, France's energy minister said that 'an overhaul of the country’s state-controlled nuclear energy industry was imminent'. On 13 June 2016, the Fédération Nationale des Cadres Supérieurs unveiled a series of problems with the EPR design, including that the French nuclear safety authority (ASN) may not give the green light to the EPR being constructed at Flamanville due to various anomalies, there may be “identical flaws” in the Areva EPR being built at Taishan 1 in China, falsification of parts from Areva’s Le Creusot plant that potentially put safety checks at risk, and multibillion-euro litigation between Areva and the Finnish energy group TVO over delays to the EPR scheme at Olkiluoto Nuclear Power Plant remains unsettled. In 2016, EDF Directors Thomas Piquemal and Gérard Magnin separately resigned over their concerns about the risk of the project. However, Chris Bakken, an EDF Project Manager, has said that EDF has full confidence they 'won’t repeat the mistakes of the Finnish and French EPRs'. A protest group, Stop Hinkley, was formed to campaign for the closure of Hinkley Point B and oppose any expansion at the Hinkley Point site or elsewhere in the Bristol Channel and Severn Estuary. The group is reportedly concerned that the new generation of power stations will store nuclear waste on site until a permanent repository is found – claiming this is an unknown length of time and, could potentially take decades. The group issued a press release opposing any plans for a new power station on 24 September 2008, when it was announced that EDF had offered to acquire British Energy, the protest group has acknowledged that opposition in the local area is by no means unanimous. In October 2011, more than 200 protesters blockaded the site. Members of several anti-nuclear groups that are part of the Stop New Nuclear alliance barred access to Hinkley Point power station in protest at EDF Energy's plans to renew the site with two new reactors. In February 2012, about seven protesters set up camp in an abandoned farmhouse on the site of the proposed Hinkley Point C nuclear power station. They were reportedly angry that "West Somerset Council has given EDF Energy the go-ahead for preparatory work before planning permission has been granted". The group also claimed that a nature reserve is at risk from the proposals. On 10 March 2012, the first anniversary of the Fukushima nuclear disaster, two hundred anti-nuclear campaigners formed a symbolic chain around Hinkley Point to voice their opposition to new nuclear power plants, and to call on the coalition government to hold back on its plan for seven other new nuclear plants across the UK. The human chain was planned to continue for 24 hours, with the activists blocking the main Hinkley Point entrance. In Germany, the renewable energy supplier Elektrizitätswerke Schönau (EWS) lodged a formal complaint on 28 November 2014 (therefore after the October 2014 European Commission approval), on the basis that the project 'breaches Article 107 TFEU by approving distortive state aids'. EWS also launched an online petition, with about 168,000 supporters by June 2015. In 2015, Theresa May's political adviser Nick Timothy wrote an article to oppose People's Republic of China's involvement in sensitive sectors such as the Hinkley Point C nuclear power project. He criticised David Cameron and George Osborne of "selling our national security to China" without rational concerns and "the Government seems intent on ignoring the evidence and presumably the advice of the security and intelligence agencies." He warned that security experts are worried the Chinese could use their role in the programme (designing and constructing nuclear reactor) to build weaknesses into computer systems which allow them to shut down Britain's energy production at will and "...no amount of trade and investment should justify allowing a hostile state easy access to the country's critical national infrastructure." On 23 June 2017 the National Audit Office published a report on Hinkley Point C. The conclusions were summarised as follows: "The Department has committed electricity consumers and taxpayers to a high cost and risky deal in a changing energy marketplace. Time will tell whether the deal represents value for money, but we cannot say the Department has maximised the chances that it will be." Amyas Morse, head of the National Audit Office, 23 June 2017. According to one local fisherman, fish stocks in Bridgwater Bay declined for a 10 months period. On 25 March 2018 The Guardian reported that: "The UK nuclear regulator has raised concerns with EDF Energy over management failings that it warns could affect safety at the Hinkley Point C power station if left unaddressed". Hinkley Point C was an issue in campaigning for the 2017 French presidential election, the first round of which was held in April 2017. Marine Le Pen's National Front was "fundamentally against" the project while Emmanuel Macron was in support of it. 8 October 2014 European Commission announced that it has approved the Hinkley Point C State aid case. September 2015, EDF admitted that the project will not complete in 2023, with a further announcement on the final investment decision expected in October 2015. 21 October 2015, State-owned China General Nuclear agrees in principle to invest £6 billion into the project. February 2016, EDF again fails to make a final investment decision on proceeding. Financial agreement with CGN yet to be confirmed, and EDF still looking at how it would finance its share of the project. 28 July 2016, EDF makes the final investment decision on building Hinkley Point C. On the same day, Theresa May's government announces that it will review the project and 'make its decision in the early autumn' with government sources interpreting this to mean that the project will be approved at that time. 31 August 2016, Five staff representatives on the board of EDF file a legal complaint seeking to reverse EDF's decision to go ahead with the Hinkley Point project. 15 September 2016, British government gives the go-ahead for Hinkley Point C following a new deal with EDF. 27 March 2017, Office for Nuclear Regulation (ONR) grants consent for construction of Hinkley Point C to begin. 3 July 2017, EDF announced that the total cost of the power station was likely to rise to between £19.6bn and £20.3bn, depending upon the overrun. A government spokeswoman said "the cost of construction, including any overruns, sits with the contractor". An earlier proposal for a Hinkley Point C power station was made by the Central Electricity Generating Board in the 1980s for a sister power station to Sizewell B, using the same pressurised water reactor design, at a cost of £1.7 billion. This proposal obtained planning permission in 1990 following a public enquiry, but was dropped as uneconomic in the early 1990s when the electric power industry was privatised and low interest rate government finance was no longer available. ^ a b c d "Hinkley Point: EDF raises cost estimate for nuclear plant". BBC News. BBC. 3 July 2017. Retrieved 3 July 2017. ^ a b c d e "Cost of Hinkley Point nuclear plant climbs another £1.5bn to over £20bn, as project is again delayed". The Telegraph. 3 July 2017. Retrieved 3 July 2017. ^ a b "Nuclear power: Eight sites identified for future plants". BBC News. 18 October 2010. Archived from the original on 19 October 2010. Retrieved 18 October 2010. ^ a b c "Hinkley Point nuclear station: Licence granted for site". BBC News. 26 November 2012. Archived from the original on 27 November 2012. Retrieved 27 November 2012. ^ a b Graham Ruddick (28 July 2016). "Hinkley Point C to go ahead after EDF board approves project". The Guardian. Archived from the original on 29 July 2016. Retrieved 28 July 2016. ^ a b "Government confirms Hinkley Point C project following new agreement in principle with EDF". GOV.UK. 15 September 2016. Archived from the original on 16 September 2016. Retrieved 15 September 2016. ^ a b "Hinkley Point's cost to consumers surges to £50bn". The Telegraph. 18 July 2017. Retrieved 5 August 2017. ^ a b "Hinkley Point nuclear agreement reached". BBC News. 21 October 2015. Archived from the original on 21 October 2015. Retrieved 21 October 2015. ^ "New nuclear plants get go-ahead". BBC. 10 January 2008. Archived from the original on 22 February 2009. Retrieved 10 January 2010. ^ a b "New dawn for UK nuclear power". World Nuclear News. 24 September 2008. Archived from the original on 25 September 2008. Retrieved 25 September 2008. ^ a b "Hinkley nuclear power plant recommended for approval". BBC. 22 September 2014. Archived from the original on 22 September 2014. Retrieved 22 September 2014. ^ "Britain's nuclear strategy exposed at Hinkley Point". Financial Times. 18 February 2016. Archived from the original on 20 February 2016. Retrieved 19 February 2016. ^ Harris, John (21 October 2013). "Hinkley Point nuclear power station: a new type of nationalisation". The Guardian. Archived from the original on 26 August 2016. ^ "Nuclear energy: British Energy facts". The Daily Telegraph. London. 24 September 2008. Archived from the original on 27 September 2008. Retrieved 25 September 2008. ^ DECC (18 October 2010). "Written Ministerial Statement on energy policy: The Rt Hon Chris Huhne MP, 18 October 2010". Archived from the original on 20 September 2016. Retrieved 5 August 2016. ^ "Hinkley Point C New Nuclear Power Station". Infrastructure Planning Commission. Archived from the original on 10 August 2015. Retrieved 14 September 2009. ^ a b c d "UK nuclear power plant gets go-ahead". BBC News. 21 October 2013. Archived from the original on 20 October 2013. ^ Logan, Chris (31 August 2004). "Coastal wind farm would destroy bird haven say protesters". The Daily Telegraph. Archived from the original on 30 October 2013. Retrieved 4 March 2013. ^ "Nuclear land deal leaves Lady Gass '£50m richer'". Bridgwater Times. 17 November 2011. Retrieved 7 August 2016. ^ Carrington, Damian (4 February 2013). "Centrica withdraws from new UK nuclear projects". The Guardian. Archived from the original on 14 December 2013. Retrieved 23 May 2013. ^ "MPs and academics call for National Audit Office to review nuclear negotiations". The Telegraph. 6 April 2013. Archived from the original on 21 May 2014. Retrieved 16 April 2014. ^ European Commission (18 December 2013). State aid SA. 34947 (2013/C) (ex 2013/N) — United Kingdom Investment Contract (early Contract for Difference) for the Hinkley Point C New Nuclear Power Station (PDF). Brussels, Belgium: European Commission. Retrieved 21 December 2017. ^ a b "Brussels begins Hinkley investigation". World Nuclear News. 18 December 2013. Archived from the original on 22 December 2013. Retrieved 21 December 2013. ^ a b Emily Gosden (31 January 2014). "Nuclear setback as EC attacks Hinkley Point subsidy deal". The Daily Telegraph. Archived from the original on 1 February 2014. Retrieved 3 February 2014. ^ a b "'Hinkley Point nuclear power contract 'may be invalid'". BBC News. 6 May 2014. Archived from the original on 6 May 2014. ^ a b Oliver Adelman (8 May 2014). "European Commission likely to find Hinkley aid illegal: Europe". Platts. Archived from the original on 6 March 2016. ^ Foo Yun Chee (18 December 2013). "EU regulators investigate EDF British nuclear project". Reuters. Archived from the original on 18 August 2016. ^ "Judge allows Ireland's National Trust to challenge Hinkley power plant go-ahead". BBC. 27 March 2014. Archived from the original on 7 April 2014. Retrieved 2 April 2014. ^ "Hinkley Point C — Court of appeal rejects challenge". ftb. 1 August 2014. Archived from the original on 19 October 2014. Retrieved 8 August 2014. ^ "Pressure mounting over £16bn nuclear site for Hinkley Point". The Independent. 22 March 2014. Archived from the original on 7 April 2014. Retrieved 2 April 2014. ^ a b c "Commission Decision of 08.10.2014 on the Aid Measure SA.34947 (2013/C) (ex 2013/N)" (PDF). European Commission. 8 October 2014. Archived (PDF) from the original on 5 November 2015. ^ "Austria to file legal complaint against UK's Hinkley Point nuclear plans". The Telegraph. 23 June 2015. Archived from the original on 24 June 2015. Retrieved 24 June 2015. ^ "Nuclear delay: EDF admits Hinkley Point won't be ready by 2023". The Telegraph. 3 September 2015. Archived from the original on 9 September 2015. Retrieved 4 September 2015. ^ Rogers, David. "Report claims UK nuclear costs 'highest in world' as EDF admits Hinkley Point delay". Global Construction Review. Archived from the original on 21 August 2016. Retrieved 7 August 2016. ^ a b c Emily Gosden (16 February 2016). "EDF admits Hinkley Point funding not finalised as it extends life of old reactors". The Daily Telegraph. Archived from the original on 17 February 2016. Retrieved 18 February 2016. ^ a b "Decision on new nuclear power plant 'delayed'". BBC. 27 January 2016. Archived from the original on 5 February 2016. Retrieved 18 February 2016. ^ Terry Macalister, "Hinkley Point should be postponed Archived 22 June 2016 at the Wayback Machine", The Guardian, 18 June 2016. ^ "Hinkley Point C: EDF's Board of Directors approves the final investment decision". EDF Energy. Retrieved 7 August 2016. ^ Ruddick, Graham (28 July 2016). "Resignation of EDF director paves way for Hinkley Point go-ahead". The Guardian. Archived from the original on 29 July 2016. Retrieved 7 August 2016. ^ Emily Gosden (28 July 2016). "Government delays Hinkley nuclear decision despite EDF approval for £18bn project". The Daily Telegraph. Archived from the original on 29 July 2016. Retrieved 28 July 2016. ^ Liu Xiaoming (8 August 2016). "Hinkley Point is a test of mutual trust between UK and China". Financial Times. Archived from the original on 11 August 2016. ^ Joe Watts (24 August 2016). "Hinkley Point nuclear power station: Whitehall officials 'exploring ways UK could pull out of deal'". Independent. Archived from the original on 27 August 2016. ^ Brendan Cole (29 August 2016). "China 'will refuse' to rewrite terms of Hinkley Point C nuclear plant deal". International Business Times. Archived from the original on 30 August 2016. ^ Sean Farrell (29 August 2016). "UK government could approve Hinkley Point but delay Essex project". The Guardians. Archived from the original on 30 August 2016. ^ Mason, Rowena; Goodley, Simon (15 September 2016). "Hinkley Point C nuclear power station gets government green light". The Guardian. Archived from the original on 15 September 2016. Retrieved 15 September 2016. ^ "Hinkley Point: UK approves nuclear plant deal". BBC. Archived from the original on 15 September 2016. Retrieved 15 September 2016. ^ Vaughan, Adam (20 March 2017). "UN asks UK to suspend work on Hinkley Point". The Guardian. Archived from the original on 23 March 2017. Retrieved 24 March 2017. ^ "GES006 - British Cellophane Factory, Bridgwater". Guerrillaexploring. Archived from the original on 18 September 2016. Retrieved 9 October 2016. ^ "Sydenham Manor House". National heritage List for England. Historic England. Archived from the original on 10 October 2016. Retrieved 9 October 2016. ^ Macalister, Terry (21 November 2014). "Hinkley Point C: the colossus Whitehall wants but is struggling to believe in". The Guardian. Archived from the original on 21 November 2014. Retrieved 21 November 2014. ^ Redman, Leigh. "Revised submission following EDF Updated Draft Development Consent Order and Proposed Mitigation" (PDF). Infrastructure Planning Inspectorate. Archived (PDF) from the original on 5 March 2016. Retrieved 9 October 2016. ^ Buckley, Colin. "Sydenham Manor House, Bridgwater". British Listed Buildings. Archived from the original on 9 May 2016. Retrieved 9 October 2016. ^ Gosden, Emily. "Hinkley Point deal under fire as construction 'milestone' hit before contract signed". The Daily Telegraph. Archived from the original on 31 October 2016. Retrieved 6 October 2016. ^ Vaughan, Adam; Willsher, Kim (2 December 2016). "New blow for Hinkley Point contractor EDF after French safety checks". The Guardian. Archived from the original on 25 December 2016. Retrieved 24 December 2016. ^ Moylan, John (15 September 2016). "Hinkley Point: What is it and why is it important?". BBC News. Archived from the original on 22 February 2017. Retrieved 10 March 2017. ^ Ward, Andrew (31 March 2017). "Hinkley Point construction gets under way". Financial Times. Archived from the original on 7 April 2017. Retrieved 7 April 2017. ^ "Hinkley Pont C: Strike action threat over bonuses averted". BBC. 7 June 2017. Retrieved 9 June 2017. ^ "30-hour Concrete Pour Completed At Hinkley Point C". nuclearstreet.com. Media X Group Digital. 13 December 2018. Archived from the original on 13 December 2018. Retrieved 9 January 2019. ^ Dave Harvey (19 March 2013). "What price nuclear power? The final hurdle for Hinkley". BBC. Archived from the original on 22 March 2013. Retrieved 19 March 2013. ^ "Environmental permits granted for Hinkley Point station". BBC. 13 March 2013. Archived from the original on 16 March 2013. Retrieved 14 March 2013. ^ Stanley Reed; Stephen Castle (15 March 2013). "Britain's Plans for New Nuclear Plant Approach a Decisive Point, 4 Years Late". The New York Times. Archived from the original on 19 March 2013. Retrieved 16 March 2013. ^ Messengert, Steffan (25 September 2017). "Plans to dump Hinkley Point mud off south Wales criticised". BBC News. Retrieved 28 September 2017. ^ a b c Roland Gribben and Denise Roland (21 October 2013). "Hinkley Point nuclear power plant to create 25,000 jobs, says Cameron". The Daily Telegraph. Archived from the original on 21 October 2013. ^ Department of Environment and Climate Change (13 July 2016). "Nuclear Power in the UK" (PDF). National Audit Office. Archived (PDF) from the original on 17 July 2016. ^ Gosden, Emily (13 July 2016). "Hinkley Point subsidy bill quadruples as power price forecasts fall". The Daily Telegraph. Archived from the original on 17 August 2016. Retrieved 5 August 2016. ^ Richard Green and Iain Staffell (25 November 2013). "The impact of government interventions on investment in the GB electricity market" (PDF). Imperial College Business School. Archived from the original on 9 May 2015. ^ "The cost of new nuclear and Wylfa Newydd". HM Parliament. Archived from the original on 25 August 2016. ^ "Ineos boss says Hinkley nuclear power too expensive". BBC News. 16 December 2013. Archived from the original on 16 December 2013. ^ Beckman, Karel (21 December 2013). "Rosatom signs contract to build nuclear plant for Fennovoima in Finland". Energy Post. Archived from the original on 26 February 2014. ^ Agora Energiewende (2014). Comparing the cost of low-carbon technologies : what is the cheapest option? : an analysis of new wind, solar, nuclear and CCS based on current support schemes in the UK and Germany (PDF). Berlin, Germany: Agora Energiewende. Archived (PDF) from the original on 2 June 2016. Retrieved 29 April 2016. ^ Carrington, Damian (18 March 2016). "Five ways to power the UK that are far better than Hinkley Point". The Guardian. Archived from the original on 26 August 2016. Retrieved 20 August 2016. ^ Macalister, Terry (4 August 2016). "Hinkley Point C is not only new energy option, says windfarm developer". The Guardian. Archived from the original on 6 August 2016. Retrieved 6 August 2016. ^ Evans-Pritchard, Ambrose (10 August 2016). "Holy Grail of energy policy in sight as battery technology smashes the old order". The Telegraph. Archived from the original on 11 August 2016. ^ Energy and Climate Intelligence Unit (August 2016). "Hinkley: What If? Can the UK solve its energy trilemma without Hinkley Point C?'" (PDF). Archived (PDF) from the original on 20 October 2016. ^ Watt, Holly (12 October 2017). "Electricity consumers 'to fund nuclear weapons through Hinkley Point C'". The Guardian. ISSN 0261-3077. Retrieved 13 October 2017. ^ "Hinkley Point C is £2.2bn over budget and a year behind schedule, EDF admits". BBC News. BBC. 3 July 2017. Retrieved 3 July 2017. ^ Laura Kuenssberg (30 October 2013). "Ouch — energy analyst is 'staggered' by UK's nuclear deal'". ITV. Archived from the original on 31 October 2013. ^ Fabrice Leveque and Andrew Robertson (March 2014). "Future Electricity Series: Power from Nuclear'" (PDF). Policy Connect. Archived (PDF) from the original on 7 April 2014. ^ "Building our industrial future". EDF. Archived from the original on 26 November 2015. Retrieved 8 October 2015. ^ a b Farrell, Sean; Macalister, Terry (21 October 2015). "Work to begin on Hinkley Point reactor within weeks after China deal signed". The Guardian. Archived from the original on 22 July 2016. Retrieved 7 August 2016. ^ Katie Allen and Terry Macalister (21 September 2015). "Nuclear plant project a step closer as Osborne makes £2bn guarantee". The Guardian. Archived from the original on 27 September 2015. Retrieved 21 September 2015. George Osborne has underlined his determination to get the government’s nuclear energy programme moving by providing a £2bn government guarantee for the delayed Hinkley Point power plant project. ^ Ben Wright (7 May 2016). "Second Chinese company poised to invest in Hinkley Point". The Telegraph. Archived from the original on 3 August 2016. Retrieved 11 August 2016. ^ Michael Stothard, Kiran Stacey (14 February 2016). "EDF shortfall adds to nuclear plant delay". Financial Times. Archived from the original on 18 February 2016. Retrieved 23 February 2016. ^ Michael Stothard (7 March 2016). "EDF finance chief quits over decision to push on with Hinkley Point". Financial Times. Archived from the original on 8 March 2016. Retrieved 7 March 2016. ^ Terry Macalister (7 March 2016). "Hinkley Point nuclear project in crisis as EDF finance director resigns". The Guardian. Archived from the original on 7 March 2016. Retrieved 7 March 2016. ^ "EDF could axe Hinkley Point unless France increases funding". The Daily Telegraph. 11 March 2016. Archived from the original on 12 March 2016. Retrieved 12 March 2016. ^ Wilson, Bill. "EDF decision on Hinkley Point put back until early May". BBC. Archived from the original on 22 March 2016. Retrieved 22 March 2016. ^ Gosden, Emily (25 April 2016). "EDF shares tumble on plan to raise cash to help fund Hinkley Point". The Daily Telegraph. Archived from the original on 28 August 2016. ^ "France's nuclear-energy champion is in turmoil". The Economist. 3 December 2016. Archived from the original on 4 December 2016. Retrieved 4 December 2016. ^ "Hinkley Point, United Kingdom". Areva. Archived from the original on 22 June 2012. Retrieved 7 August 2012. ^ "Hinkley Point C New Nuclear Power Station". National Infrastructure Planning. Archived from the original on 17 February 2013. Retrieved 5 March 2013. ^ "Nuclear Power in a Warming World" (PDF). Union of Concerned Scientists. December 2007. Archived (PDF) from the original on 23 October 2008. Retrieved 1 October 2008. ^ a b David Jolley and Stanley Reed (23 February 2015). "France Warns of Nuclear Industry Shake-Up After Areva Loss". The New York Times. Archived from the original on 1 October 2015. ^ James Kanter. In Finland, Nuclear Renaissance Runs Into Trouble Archived 15 April 2016 at the Wayback Machine The New York Times, 28 May 2009. ^ James Kanter. Is the Nuclear Renaissance Fizzling? Archived 16 January 2010 at the Wayback Machine Green, 29 May 2009. ^ Rob Broomby. Nuclear dawn delayed in Finland Archived 8 July 2013 at the Wayback Machine BBC News, 8 July 2009. ^ Monbiot, George. "The farce of the Hinkley C nuclear reactor will haunt Britain for decades". The Guardian. Archived from the original on 25 October 2013. Retrieved 25 October 2013. ^ "Correspondence from the Fédération Nationale des Cadres Supérieurs to the Chair, 13 June 2016" (PDF). HM Parliament. 13 June 2016. Archived (PDF) from the original on 26 August 2016. ^ Macalister, Terry (17 June 2016). "EDF's top managers tell MPs that Hinkley Point should be postponed". The Guardian. Archived from the original on 22 June 2016. ^ "Finance director's resignation highlights deep concern about nuclear project's risks". Financial Times. 7 March 2016. Archived from the original on 14 May 2016. ^ "New Hinkley Point nuclear power station may be further delayed". The Guardian. 3 September 2015. Archived from the original on 29 July 2016. ^ "EDF's nuclear troubles rooted in caution". Financial Times. 20 March 2016. Archived from the original on 26 May 2016. ^ "In depth: Hinkley Point C proposals". BBC. 17 March 2010. Archived from the original on 7 October 2013. ^ "Response to BE takeover by EDF". Stop Hinkley. 24 September 2008. Archived from the original on 20 July 2011. Retrieved 25 September 2008. ^ "Hinkley Point power station blockaded by anti-nuclear protesters". The Guardian. 3 October 2011. Archived from the original on 11 June 2016. ^ "Anti-nuclear campaigners set up camp at Hinkley C site". BBC News. 12 February 2012. Archived from the original on 18 February 2012. ^ "Brits protest against govt. nuclear plans". Press TV. 10 March 2012. Archived from the original on 13 March 2012. ^ "Rechtsanwältin Dr. Cornelia Ziehm" (PDF). Elektrizitätswerke Schönau. 28 November 2014. Archived from the original (PDF) on 18 June 2015. ^ "No Money for Nuclear Power - Stop Brussels!". Elektrizitätswerke Schönau. Archived from the original on 27 June 2015. ^ "Britain's remaining mud-horse fisherman says business is suffering following Hinkley Point C construction". somersetlive. 14 November 2017. Retrieved 17 November 2017. ^ Vaughan, Adam. "Nuclear watchdog raises Hinkley Point C concerns". The Guardian. Retrieved 5 June 2018. ^ "UK guarantees £2bn nuclear plant deal as China investment announced". BBC. Archived from the original on 1 September 2016. Retrieved 7 August 2016. ^ "Hinkley Point: Surprise delay for nuclear plant deal". BBC. Archived from the original on 30 July 2016. Retrieved 7 August 2016. ^ Gosden, Emily (28 July 2016). "New Hinkley Point nuclear plant in doubt as Government delays decision despite EDF approval for £18bn project". The Daily Telegraph. Archived from the original on 3 August 2016. Retrieved 7 August 2016. ^ Twudake, Susanna. "EDF gets consent to start building Hinkley C plant". Reuters. Archived from the original on 30 March 2017. Retrieved 30 March 2017. ^ "Electricity Generating Capacity: Nuclear Power". Hansard. 1 March 1990. HL Deb 1 March 1990 vol 516 cc828-30. Archived from the original on 2 October 2012. Retrieved 9 June 2009. ^ "In brief — Hinkley "approved"". The Guardian. World Information Service on Energy. 14 September 1990. Archived from the original on 30 December 2013. Retrieved 30 December 2013. ^ "Hinkley C Nuclear Power Station given planning permission". Construction News. 14 September 1990. Archived from the original on 3 October 2011. Retrieved 17 November 2009. ^ "The nuclear energy option in the UK" (PDF). Parliamentary Office of Science and Technology. December 2003. postnote 208. Archived from the original (PDF) on 3 January 2006. Retrieved 9 June 2009. Wikimedia Commons has media related to Hinkley Point. HPC Development Consent Order Application (Summary). 2011. 32 pages. This page was last edited on 17 March 2019, at 14:08 (UTC).